We want to share an amazing new promotional tool that will power the future of your company's marketing efforts. 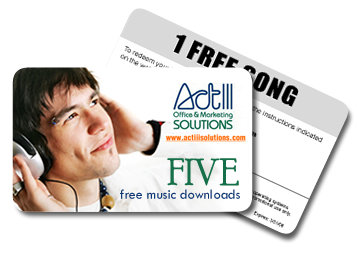 Act III brings the digital age to the promotional products industry by featuring music downloads, ringtones, and other digital promotions—with your 4-color process message printed on the front of the card! 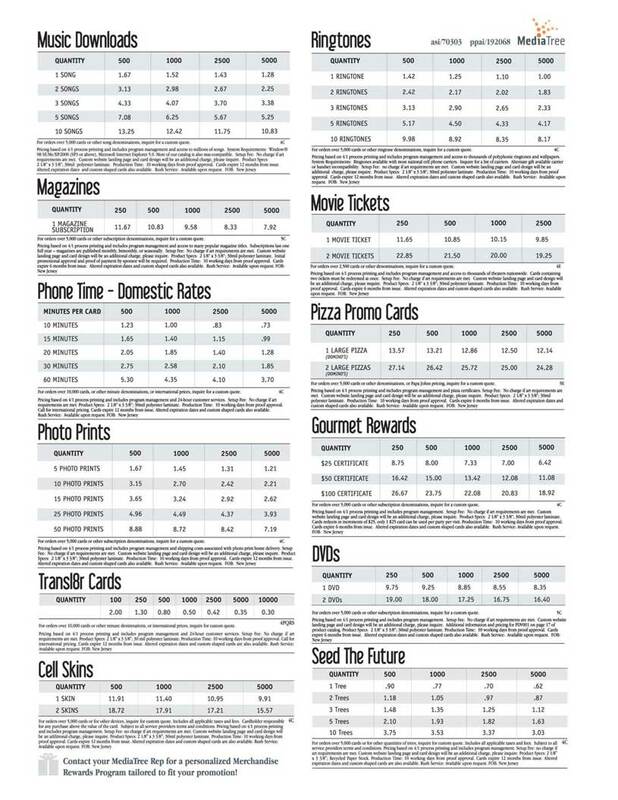 Digital download cards, like music download cards, ringtone promotions, photo print cards, movie ticket downloads, and more are a great tool to promote new business or retain existing clients. 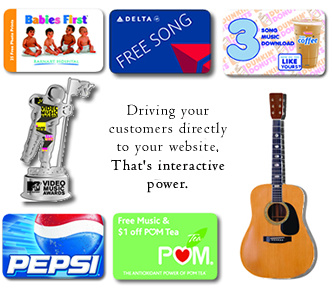 Digital Download Promotions, like Music Download Cards, can be set up to drive your retail customer to a customized website landing page. You can control the content from which they choose to download. For instance, a band can create a custom web page from which a recipient can download 2 of their songs. This page reinforces your brand and identity-- In fact, the most powerful part of promotions like these is the option to up or cross sell your company's services. Always give your customers options to visit your site! Before your customers download their gift, they can be required to fill out a brief survey with demographic and other information. The truly unique advantage to this type of promotion is web reporting on all aspects of online redemption. 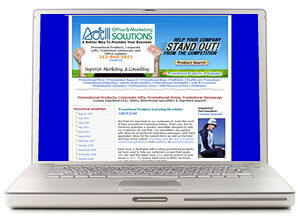 * Capture demographics on your target audience. * Build customer profiles with survey and sweepstakes data. This data is collected and can be used by your company's Marketing Team to target certain demographics. 90% of the US population use the Internet everyday. In fact, studies have shown that more and more people are turning to the Internet for sources of entertainment and less time spent in front of the television. Therefore, advertisers are looking for creative ways to have consumers interact with their products online. For More Information or call us at 212-868-1813 to order.